Eddie MacDonald of Rowley has realistic goals for the upcoming races in New Hampshire. No stranger to New Hampshire Motor Speedway, where he has won three times in K&N Pro Series East races in 2008 and 2009, Eddie MacDonald says his familiarity with the 1.058-mile oval in Loudon, N.H., will help him feel at home when he makes NASCAR Sprint Cup debut in Sunday’s Camping World RV Sales 301. 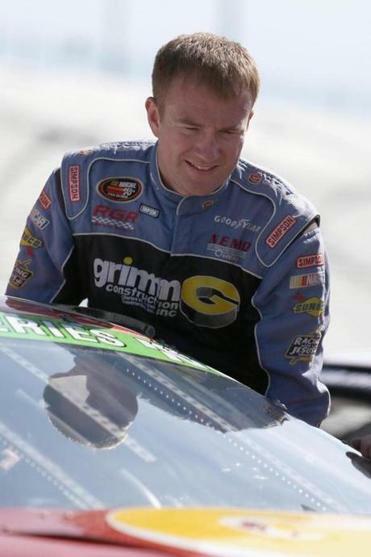 MacDonald made his Nationwide Series (2007) and Camping World Truck Series (2010) debuts at NHMS, in addition to making starts in K&N Pro Series and Whelen Modified Tour events at The Magic Mile. But MacDonald will complete the cycle Sunday, making him the only active NASCAR driver to have raced in all five touring divisions. According to NASCAR officials, Steve Park, of East Northport, N.Y., was the first to accomplish the feat, racing in a Truck Series event and a pair of Busch North Series and Modified Tour doubleheaders at New Hampshire in September 1996. MacDonald will be pulling double duty this weekend, driving the No. 71 Chevrolet in the K&N Pro Series race Friday, then, on Sunday, piloting the No. 32 Ford fielded by co-owners Archie St. Hilaire of Saco, Maine, and Frank Stoddard, of North Haverhill, N.H., a former Cup crew chief turned NBC analyst. MacDonald will be steering an All-New England enterprise, with the efforts of driver and owner intertwining with that of a New England-based sponsor, Michael Alden, of Beverly, whose Blue Vase Marketing company paired with the No. 32 this season as primary sponsor at Phoenix and Las Vegas and as an associate sponsor at Bristol, Tenn.
“We’re just looking for a respectable run, but we’re realistic with our goals,’’ said MacDonald, who recorded the seventh K&N Pro Series victory with a March 15 triumph at Bristol that vaulted him to fifth in driver points. He is ranked 18th in the K&N Pro Series East standings (209 points) and owns the most wins (3), starts (25), and laps completed (2,543 out of 3,014) at NHMS of any driver in the division. The idea to run MacDonald at NHMS was hatched at a lunch meeting earlier this year when St. Hilaire met with Alden to discuss the No. 32’s plans. Alden asked St. Hilaire if there was any New England driver they could put in their car at NHMS. St. Hilaire initially drew a blank, but, on the drive home, came up with a perfect solution. “That’s when Eddie’s name came up,’’ St. Hilaire said. “I took Eddie over to meet Michael and he said, ‘This is the great. It’s the best of all worlds.’ We had me and Frank owning the team, we had Eddie, who had been around New Hampshire and been around the area forever, and we had Mike, who wanted to sponsor it. Even NHMS track officials have gotten behind the effort, offering an “Eddie Mac Pack’’ ticket package for $32, in honor of MacDonald’s car number which, coincidentally, team officials chose as a way of honoring long-time New England racing legend, Stub Fadden. St. Hilaire isn’t placing unreasonable expectations upon MacDonald. “Let’s face it, we run every week, but I look at it like there’s 12 teams that we compete against,’’ St. Hilaire said. “We’re what they call ‘an underfunded team,’ a low-budget team. We have fun and we enjoy what we’re doing, but we can’t keep up with Hendricks and those other guys. If MacDonald were to turn some heads by doing so, could it lead to something more than just a one-shot deal on the Cup side? “You know, I’ve got some races open later in the year on tracks that he’s raced at,’’ St. Hilaire said. “If this works out, I’m going to give him another shot. I love the guy. He and his Dad are just old New England racers. We all work hard up here and it’s just a different type of tight-knit people, so why not? It’s St. Hilaire’s hope that MacDonald gets a rousing welcome during the Sprint Cup driver introductions.